Arguably the most spectacular luxury condominiums building in Boston, this stunning skyscraper is located on Boston's infamous waterfront. 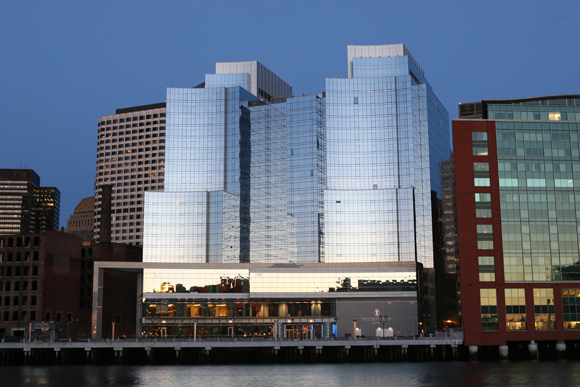 Designed by Howard Elkus and completed in 2006, this glass tower features breathtaking views of the ocean and the new Rose Kennedy Greenway. The buildings includes a first class hotel which will provide its full range of decedent amenities to the residents. Order room service from your house phone as well as valet, dry-cleaning and housekeeping. The full service concierge is also at your disposal. Also included are a state-of the-art gym and a spa - available to residents 24 hours. There is also a waterfront bistro, lounge and sushi bar. InterContinental Boston apartments range from 880 square feet one-bedroom units to the nearly 5500 square foot penthouse suite. Thirty-eight unique floor plans are shared by the building's 130 units; ensuring that you will find a layout that suits your specific needs. 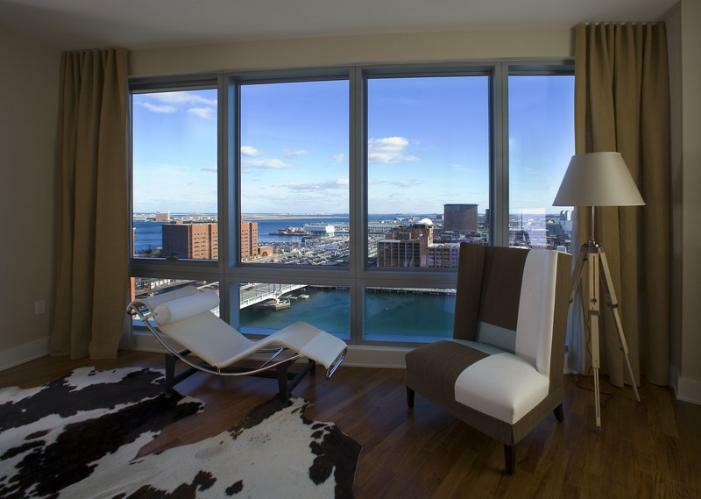 These gorgeous apartments feature amazing curved glass walls, offering full-length views of the new Rose Kennedy Greenway and the famous Boston harbor. Other details include elegant mahogany doors, 10-foot ceilings, custom cabinetry and spacious closets. Kitchens and bathrooms are outfitted with the latest in appliances including Wolf stoves and ovens, Asko washers/dryers, and Sub Zero refrigerators in every unit. InterContinental apartments sit elegantly in the heart of the city's up-and-coming waterfront area. 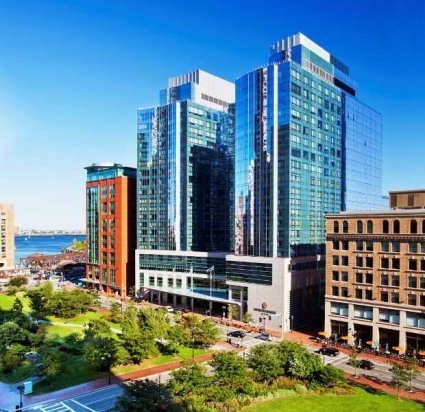 Features of the InterContinental's neighborhood include the new HarborWalk waterfront walkway, the Rose Kennedy Greenway, and the new Institute of Contemporary Art. The residences are a short walk from the historic North End, Quincy Market and Beacon Hill. Getting to the InterContinental is quick and painless. The complex is accessible via Route 93, the Mass Pike, the Silver Line (bus) and the T (subway). The new millennium design, coveted location and impeccable offerings make The Intercontinental one of the most luxurious places to reside in the city of Boston.